Fall is here. Winter is coming! It’s time for Movie Night and a great bottle of wine! 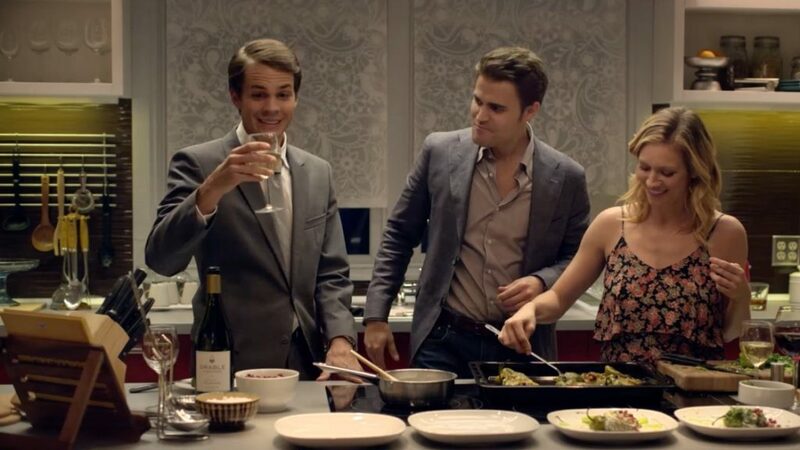 Did you see our Chardonnay on the big screen with Johnny Simmons, Brittany Snow and Paul Wesley in The Late Bloomer? The movie won Best Comedy at the San Diego International Film Festival, and it’s now available on iTunes and Amazon Video. So pick up a bottle of Grable for a fun Movie Night at home! It’s time to give thanks and make merry! We’d love to deliver good cheer from our vineyards to your Holiday table! We have Magnums to make your gatherings extra festive… and a hand crafted, limited production Chardonnay or Cabernet Sauvignon is the perfect gift for everyone on your list. It’s time for our Holiday Wine Release!